BAE Systems is a global company engaged in the development, delivery and support of advanced defence and aerospace systems in the air, on land and at sea. It has major operations across five continents, with customers and partners in more than 100 countries. 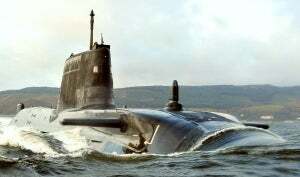 A key division of BAE Systems is Submarine Solutions, which employs approximately 5,100 people across a number of UK locations, including Barrow-in-Furness. BAE is the only UK builder of submarines, and has an illustrious past in surface shipbuilding. In total, 855 vessels have been built at the Barrow shipyard: 373 merchant/commercial ships and 482 naval vessels. BAE Systems is the prime contractor for Astute, the Royal Navy’s new class of hunter killer submarines. It is responsible for the design and build of the vessels as well as the provision of all equipment, including the combat system and demonstrating functional performance. BAE Systems is also home to the Future Submarine Programme office, where a collaboration consisting of BAE Systems, Ministry of Defence, Rolls Royce and Babcock Marine personnel are working on a design for a successor to the nuclear deterrent Vanguard class. Submarines operate in the most hostile environment on earth and call for remarkable engineering solutions. The design and construction of BAE Systems’ Astute class is arguably the most challenging engineering project ever undertaken in the UK. Once deployed, Astute is designed to require no refuelling throughout her full service life, which is in excess of 25 years. Astute can patrol for 90 days, remaining undetected thousands of miles from home and hundreds of metres underwater. It is the largest and most powerful attack submarine ever ordered by the Royal Navy and its stealth, endurance and flexibility give it unparallelled freedom to operate worldwide. "Previously, submarine design for the Royal Navy was led in-house by the MOD. With Astute, this has shifted to being more industry-led. This has meant we have had to deploy the very best design software tools available to meet the highly complex challenges faced when designing a submarine," said Rob Ritchie, engineering manager – naval architecture, BAE Systems – Submarine Solutions. BAE Systems has been using Paramarine for over ten years for both stability certification and early stage design. Backed by the endorsement of the MOD, Paramarine is its software design tool of choice. QinetiQ GRC and BAE Systems have established a strong working relationship such that BAE Systems has had graduates on placement working at QinetiQ GRC. BAE has also employed GRC consulting staff to work with its naval architect team on a range of projects. "The support we get from QinetiQ GRC is very good in areas such as making continual improvements to the software itself based on our feedback, and in assisting us to get the most out of the software," said Rob Ritchie. The naval architects at BAE are making extensive use of Paramarine. They find the tool easy to use, intuitive, with a good graphical user interface and yet extremely flexible and powerful. Given the nature and complexity of their work, they have to extract a lot of data from Paramarine to carry out ‘what if’ scenarios. Paramarine makes the data extraction process quick and easy. Paramarine use starts at the concept stage and goes right through the detail design, testing and commissioning phases. "I think Paramarine is probably the most powerful tool available today for submarine design," said Rob Ritchie.